Ed Durrant has been in touch. He writes: “Being a teenager in the UK at the time of the Pirate Radio revolution, I was a constant listener and wished some day to get onto and work on one of the ships or forts as a radio engineer. It never happened but I have some good memories of the long hours listening to these heroes of the day, long before the Internet and mobile devices and total government control. These were the ‘geeks’ of the day and being somewhat one myself I had a great respect for what they were fighting for. 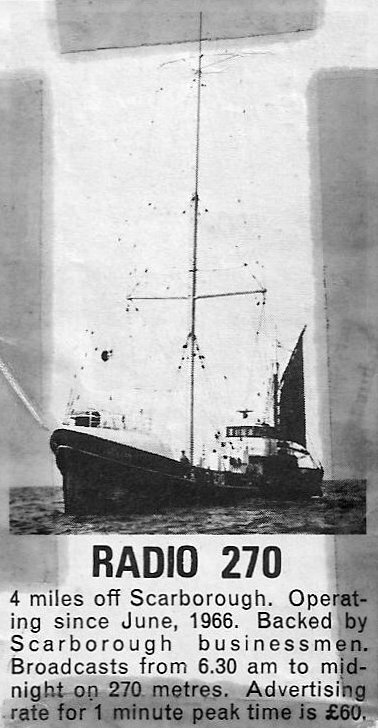 Although they eventually died off the radio waves, they won as they changed the shape of popular radio in the UK.” Ed was living in Yorkshire at the time and has very kindly sent The Pirate Radio Hall of Fame some press cuttings relating to his local offshore station, Radio 270, and to Radio Northsea International. Our grateful thanks to him. 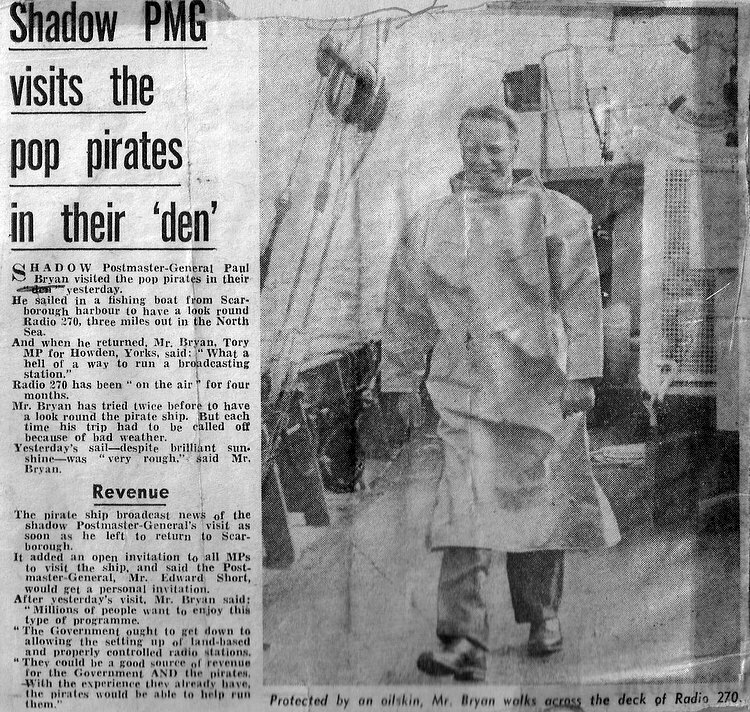 visited Radio 270's ship the mv Oceaan 7 in August 1966. On to the next page of Ed's collection. See also these memories of Radio 270.